This classic leather dog harness will be the best assistant in your Great Dane daily walking, primary and professional training. Your Great Dane is a very active dog, who sincerely likes physical exercises while his training sessions or daily walking. With this wonderful leather dog harness, you can perform more different challenges with him to make ordinary activities more interesting. This universal dog harness is produced of the top-quality latigo leather. Thus, this dog item is hypoallergenic and safe for your Canine's health, protecting him from undesirable skin problems. The riveted fittings of the harness are created of rust resistant shiny brass. The item is also provided with easy quick release buckle, reliable stitching and thick felt chest padding. This Leather Great Dane Harness with wide chest plate is for walking and training your dog. Pure leather and rust-proof hardware were used for producing it. Leather Great Dane Harness is suitable for walking and training your puppy. Only natural leather was used for its manufacturing. Leather Great Dane Harness with brass brooch decoration is created for walking and training puppies. Check it in brown, black and tan colors. Let your Great Dane perform his long walks and rescue missions with full comfort, using this top-grade latigo leather dog harness. Check this Leather Great Dane Harness with wide straps and no chest plate. All the hardware details are made of corrosion-proof brass. Choose this Leather Great Dane Harness with strong nickel plated hardware for walking or professional training, including obedience or agitation exercises. Classy Leather Great Dane Harness with nickel plated spikes decorations is great for walking your canine. Choose from black, brown and tan colors. 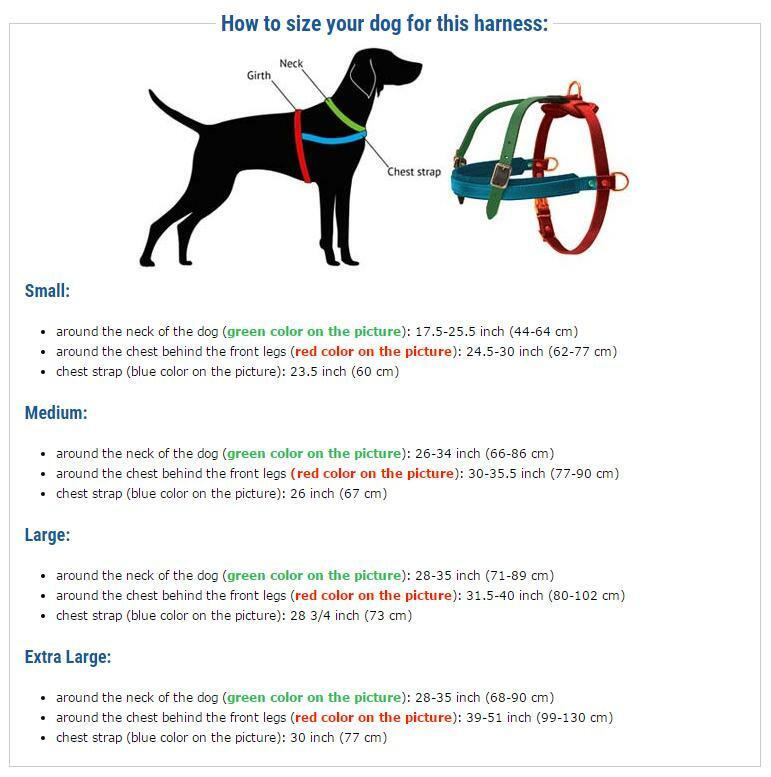 Choose this leather harness for walking and training your Great Dane. The pure leather is well-stitched and provided with strong hardware. Nappa Padded Leather Great Dane Harness with decorative elements is created for walking in style. Strong leather and hardware provide long service. Genuine Leather Harness with wide straps and thick felt padding is perfect for walking Great Dane. It is designed with gold color studs. Leather Great Dane Harness with nickel plated pyramids is great for walking. It is available in black, brown and tan colors. This walking puppy harness is made of top-notch pure leather, padded with thick felt inlay and decorated with rustproof nickel plated spikes. Perform your little Great Dane daily outings in safe and fashionable pure leather puppy harness, adorned with nickel plated studs. This lightweight leather guide dog harness will surely provide you and your Great Dane with supreme comfort during your daily outings. Provide your Great Dane with this strong, durable and comfortable guide dog harness, made of super soft natural white leather. If you are a real patriot of your motherland, wear your Great Dane in this perfect handpaited leather dog harness with with Israeli flag.